The Helios is compact by design and with the front wheel, captain seat post and handlebar removed and the stoker seat lowered the Helios will fit into a space 1800 x 600 x 200 mm. So remarkably compact that the Helios has been fitted into a 3 door Nissan Micra, with the rear seats down! Most common is to put it diagonally across the back, or, down the middle between the seats. Of course, if you are looking to get the Helios in a Smart car then you might want to add the Separable kit. 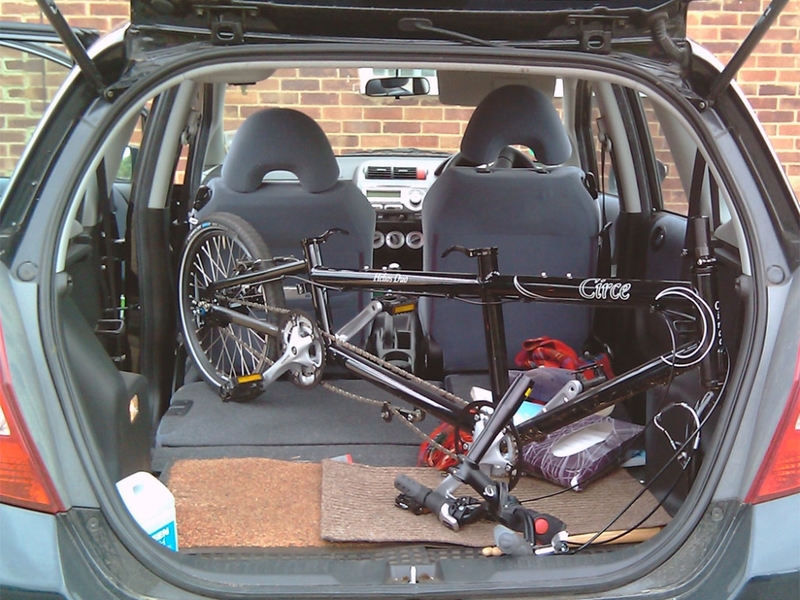 Picture shows a Helios in the back of a Honda Jazz.